Fireworks can be fun, but they also pose a threat to a plastic structure! If you are considering setting off some fireworks in your garden, it is vital to make sure that you do not set them off too close to your polytunnel. A stray spark could spark disaster for your polytunnel, so it is very important to make sure that no fireworks go anywhere near the plastic cover of your undercover growing area. Make sure that the fireworks are well secured in a bucket of sand before you light the blue touch papers, so they don’t head off at the wrong angle. This all may seem very obvious, but each year, people make mistakes when it comes to firework safety. Make sure you – and your polytunnel – are not victims of the statistics. Obviously, bonfires too could pose a threat. When choosing a location for a bonfire, you should of course make sure that it is not too close to your polytunnel. More than this, consider the wind direction. Wind could blow ashes or hot embers for quite some distance, so make sure that these will not head straight for your polytunnel. Another thing to think about when it comes to bonfires is the wildlife. A biodiverse ecosystem with plenty of wildlife is essential for an effective polytunnel food growing system. Before you set your bonfire alight, be sure to check it thoroughly for any creatures that might have made their way into the woodpile. Do not set up the bonfire too long in advance, or wildlife may take up residence. Always move the wood aside to check properly before beginning the blaze. 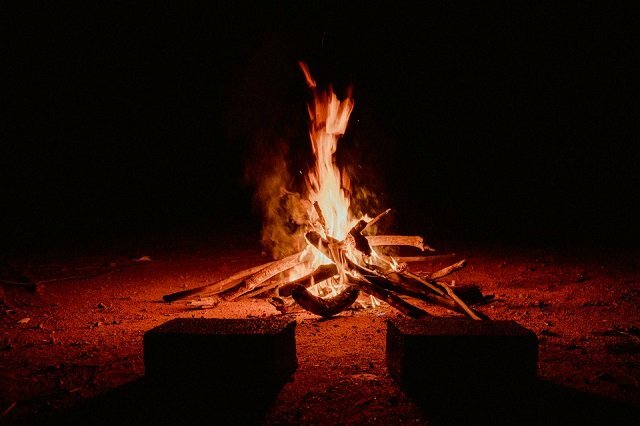 Bonfire night can be chilly, and many of us will be wrapping up warm to head outdoors after dark. While you are thinking about keeping yourself warm, however, you may also like to spare a thought for the plants in your polytunnel. With a polytunnel, you can grow your own food all year round – but some plants will need a little extra protection once frosts arrive. Make sure you have done all you can to protect plants from cold weather with mini polytunnels, cloches, fleece or bubble wrap, and organic mulches for plant roots. Your polytunnel might not be the most important thing on your mind this bonfire night. But taking a little extra care in early November can make a big difference to the safety and on-going sustainability of your polytunnel throughout all the seasons.